Sign Up Now for this Popular Event! Our 38th annual destination event will take place on January 10-January 17, 2013. We are returning to Mauna Lani Bay Hotel on the Big Island for 7 days of surf, sun and golf. 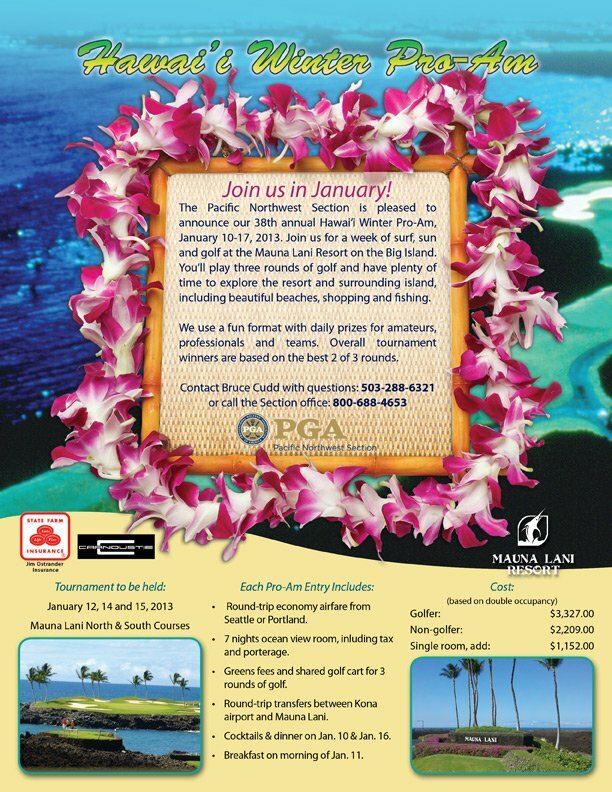 The entry fee includes: round trip economy air fare, seven nights stay at Mauna Lani Bay Resort (Ocean View), a couple of welcome reception and awards dinners, three rounds of golf and carts at Mauna Lani Resort (North and South courses), payouts and shuttle service to and from the airport (for group air participants). Click here for a flier that you can print & share.